Do you crave adventure? Do you love riddles and clues? Are looking for a different form of entertainment? 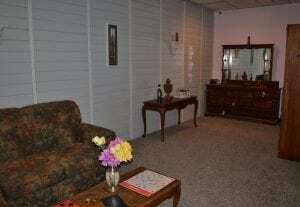 How about checking out an escape room. 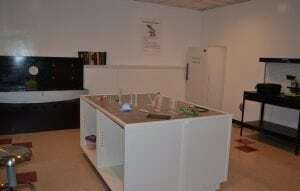 An escape room is a physical adventure game where players solve a puzzle using clues, hints and a certain amount of strategy in order to get free, or “escape” from the room. There’s also a set time limit participants have to complete the challenge and reveal the plot hidden within the room, which only heightens the drama. This entertainment phenomenon has roots in video games of the same theme. The first physical escape room originated in Japan in the early 2010s and the idea moved west rapidly. In 2014, there were less than 25 in the United States and currently there are over 2,000. 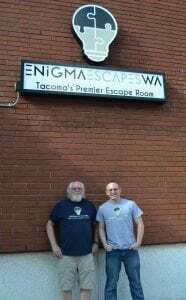 These adventure rooms have arrived in Tacoma, and Enigma Escapes is the latest escape room to open in the area. “It’s an immersive environment filled with clues and puzzles,” says owner Kevin Fletcher-Velasco of the experience. Kevin owns the business along with his brother Justin Fletcher, their father Dale Fletcher and Kevin’s husband Tim Fletcher-Velasco. A lifelong puzzle fan, Kevin says he grew up creating scavenger hunts and riddles for his mother on her birthday and special holidays like Mother’s Day. Once Kevin visited an escape room and experienced the fun firsthand, he knew it was something he wanted to be a part of. The four owners took that plan and put it to use building a Halloween-themed escape room in their garage in the fall of 2017. The experiment turned out to be one their neighbors and friends loved. That’s when Kevin and his family began to take action toward transforming the fun experience they had a passion for into a business. They began networking with other escape room owners in the area and took that newfound knowledge alongside their individual strengths and expertise and applied it to their venture. 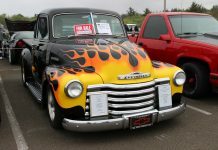 Each owner plays a specific role at the business. Kevin is the mastermind behind the puzzles, Justin does the electrical work, Dale does all the woodworking, and Tim comes up with the decor to make sure each room’s theme is authentic as well as immersive. Yet, it’s not only about providing family entertainment, escape rooms also offer an opportunity for great team-building exercises. Kevin says some area businesses have utilized their escape rooms for one-day retreats or office parties. Enigma Escapes also has a small conference room onsite to host birthday parties or businesses to use during team-building events. “It’s a great way to find out who communicates well, who takes charge, who stays back and lets others figure things out, and so forth,” Kevin says of the team-building exercises. Although the popularity of escape rooms is on an upswing right now – Tacoma has three and Seattle boasts over 10 – Kevin says he doesn’t view the other escape rooms as adversaries. Instead, he chooses to see the other escape rooms as a collaborative group, because every room is offering a different theme, a different puzzle and a different type of experience. Currently, Enigma Escapes offers two themed adventure rooms, The Estate and The Cure. There are plans for expanding rooms as well as tweaking the existing themes according to seasons as well. The next two themed rooms set to open are called The Sorcerer’s Rescue, a magic-themed room, and Titan’s Revenge, a play on Greek mythology. One of the goals Enigma Escapes has set for themselves is to have a certain amount of wow factor in each of their adventure rooms. Their objective is to create experiences where customers find something they don’t expect, no matter which puzzle they choose to participate in. Some ways the rooms provide an immersive experience is through the setting, decor and backstory that each puzzle contains. For instance, in The Estate participants have one hour to find grandma’s last will and testament to prevent the house from being sold and the property turned into a strip mall. In the other room, The Cure, participants have to locate not only a highly sought-after cure in a lab setting, but also find the missing doctor who created the cure and quarantine the lab before a volatile virus can spread. It’s because each of the puzzles have a rich backstory to them, that the rooms are good fit for both the first-time visitor and escape room enthusiasts. Enigma Escapes is located at 101 S 10th Street and can be reached at 253-272-2799. Find out more about the business by visiting their website, or following them on Instagram, Twitter and Facebook.